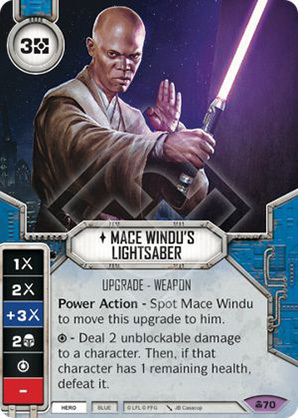 Power Action - Spot Mace Windu to move this upgrade to him. - Deal 2 unblockable damage to a character. Then, if that character has 1 remaining health, defeat it.